At the Philadelphia Museum of Art (PMA) February 9 through May 5, 2019 LONG LIGHT | PHOTOGRAPHS BY DAVID LEBE, a survey exhibition of my work from about 1969 to the present. A book by the same name published by PMA & Yale University Press is available now from the Museum book store and from (pre-order till March 5) Amazon. In the Artist's Voice: David Lebe Saturday, February 9, 2019 2:00 p.m. - 3:00 p.m. Levy & Spain Galleries, Perelman Building Free after admission Seating is limited. 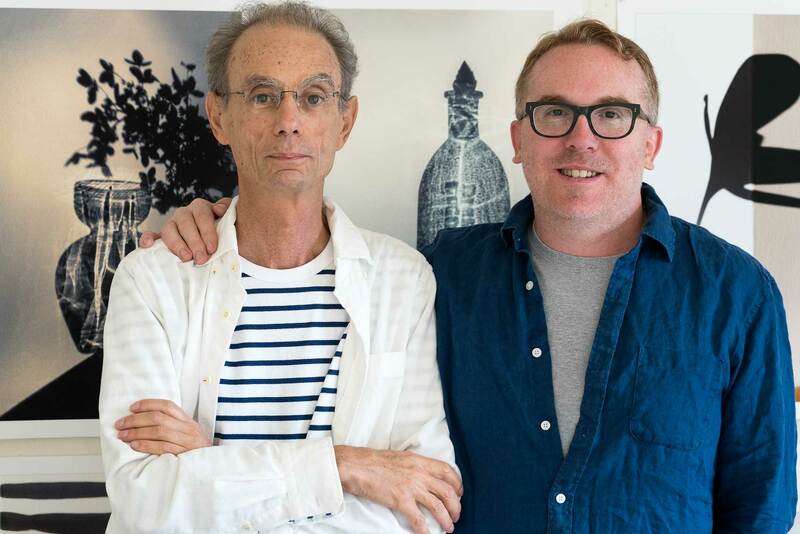 First-come, first-served "Photographer David Lebe discusses his career and creative process with Peter Barberie, the Brodsky Curator of Photographs, Alfred Stieglitz Center. Offered in conjunction with Long Light: Photographs by David Lebe." 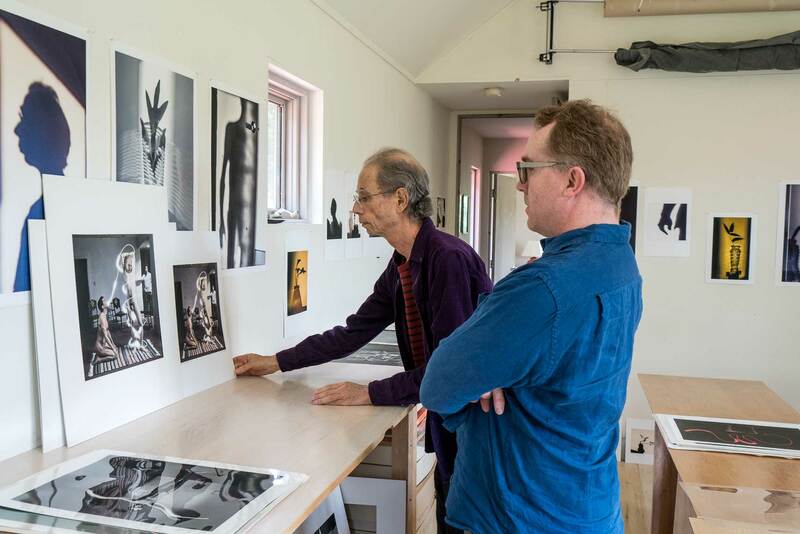 Below: Myself with Peter Barberie, curator of photography at PMA, working on the show and book in my studio. 2018 top & 2017 bottom.